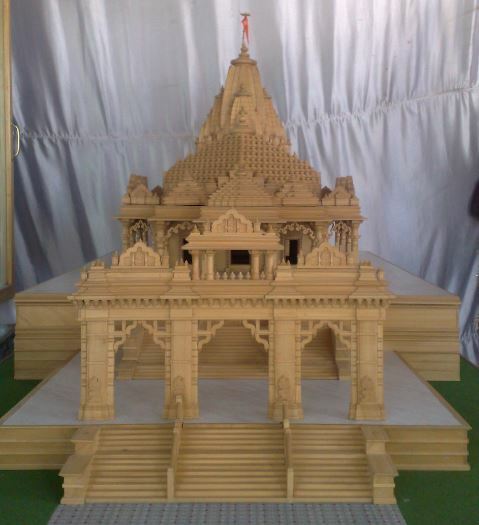 We are one of the leading Temple Architects in India and specialize in Hindu & Jain Temples. We are very well versed with the ancient architecture style and follow the norms of ancient vastu shilp shastra and use calculations such as Aay, Nakshatra, Direction, Vyay etc. and follow vastu-shilp norms form the beginning of the temple i.e. Shila Ropan to end of temple construction i.e. Pratistha Pooja. 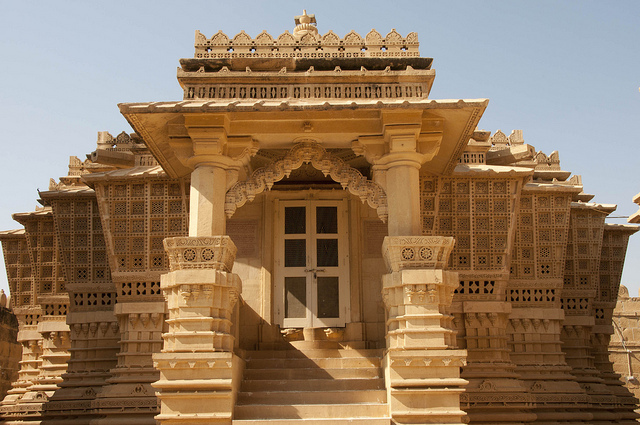 We have a very modern infrastructure for creating marvelous temple designs and our intrinsic details can be seen right from the steps of the temple to the pillar designs, dome structure, dome design and the shikhar of the temple. For us the beauty of the temple lies in the precision of each and every inch of the temple and collectively the structure should give instant connection with the natural elements and provide peace to the people who visit it. With the inheritance of a rich tradition and sound knowledge, we can surely boast about our achievements as temple architects. With time, even the best and strongest of the structure gets in a state where it needs restoration and proper care. To this job, the most important component is the knowledge of the Ancient Architecture style and processes and uses the same to recreate the medieval magic. At C. P. Trivedi & Sons, we have immense experience and expertise for taking up restoration work and restore it to its original glory. Temple Designing is and idea and to make idea into reality you need equally talented and dedicated mindset and workforce. To reduce the communication gap between ourselves and the contractors, we decided to create our own temple construction unit so that we can actually deliver what we have envisaged. Thus Mohak Stone Crafts Pvt. Ltd. was born and as a combination, C.P. Trivedi & Sons as architects and Mohak Stone Craft as constructors is a magnificent combination that makes sure that what is on paper is implemented inch by inch in stone. We have a huge manufacturing setup at Rajasthan with more than 1000 skilled craftsmen working for us and an infrastructure to handle all the carrying and caring of stones. We are manufacturers and exporters of stone handicrafts to numerous countries and provide amazingly detailed stone handicraft products that is sure to mesmerise you. We also work with all kind of stones and have a team of skilled artisans to create beautiful handcrafted products. Our Wooden Handicrafts have been in much demand specially our extensively carved small home temples and rich wooden frames to name a few. Our range also include complex designs that would be center of attraction in your home. We at C. P. Trivedi have mastered the art of creating stunning objects out of stone and wood and now we provide Bespoke Design Handicrafts. Our motto is that if you can think of it we can create it for you in stone.